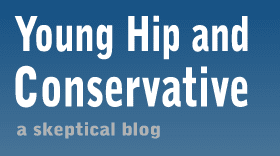 Young, Hip and Conservative: a skeptical blog: Did Obama appoint a mercantalist to oversee trade? Did Obama appoint a mercantalist to oversee trade? Don Boudreaux certainly things so. Three posts in two days at Cafe Hayek are about nonsense Francisco Sanchez has said. Sanchez is the Undersecretary of Commerce for International Trade, which is a pity, as Boudreaux thinks Sanchez fails to understand international trade. "We heartily agree that exports deserve to be a national priority because, as Sen. Johanns said, 'Increased exports mean more jobs for American workers and more dollars in American pockets.'" "... Imports, not exports, are the purpose of trade. That is, what a country gains from trade is the ability to import things it wants. Exports are not an objective in and of themselves: the need to export is a burden that a country must bear because its import suppliers are crass enough to demand payment." Free trade is not conducted like a peaceful end to a Mexican standoff, where both sides uneasily cooperate in hopes their opponent will do the same. We do not allow other nations to import to America as a compromise so that we can export goods to them, as I've written before. Instead, we benefit from imports directly because Americans can now buy cheap goods and save money, or as Sanchez put it, keep "more dollars in American pockets." Sanchez certainly has a great resume for politics. And it certainly didn't hurt that he was an early Obama supporter and fundraiser. However, his expertise seems to be in negotiations and policy issues - not international trade. Looks like another case of a non-expert appointed to a planning role.